These socks are all going to Afghans for Afghans for their February campaign. They want stuff for older kids, age 7-16 years, and they always need socks. 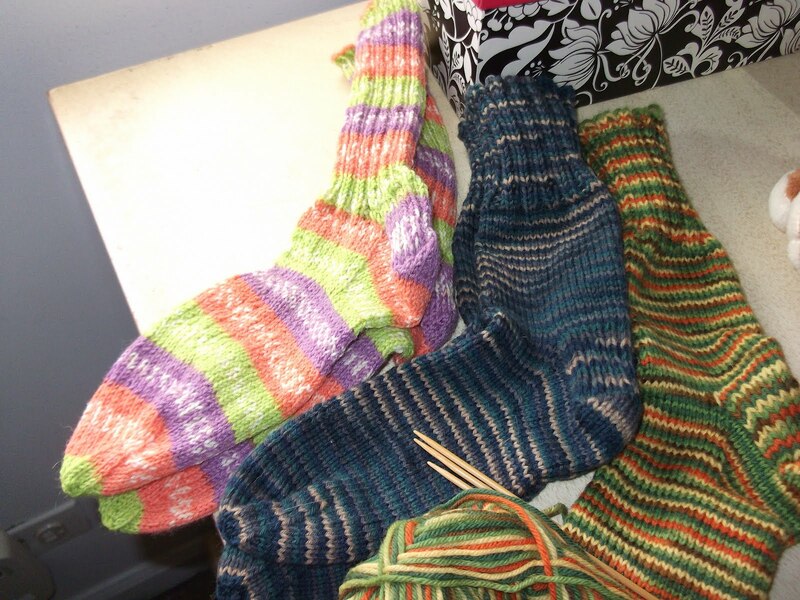 Luckily, I always seem to have a ton of sock yarn in the stash, so I'm making some in various sizes. The deadline is February 29, and I'll definitely finish the current pair on the needles and make another one before then. If I make the effort to go to a coffee shop so I can knit without interruptions, I could probably do a fifth pair by the deadline. Sorry this isn't more interesting, but this is all I've been doing since I finished with the Christmas ornaments. nice socks! what a great idea.